Computex 2017, one of the most important fairs for computer manufacturers in Taipei, Taiwan, was the event chosen for the presentation of the new family of Intel Core X-Series processors, which introduces the expected Intel Core i9 with configuration options of up to 18 cores and 36 threads. The company highlights that it is the most powerful processor family yet, with extreme performance perfect for virtual reality and with unprecedented scalability, developed to support an extreme multiprocessor and specially designed to meet the needs of content creators, Gamers and computer enthusiasts. The processor market is at an important time to capture the attention of potential customers, both AMD and Intel are wrapped up in “core and speed” wars. The latest leak of information from processors, silicon could be the next generation of Intel and it is sure to be out of the budget of most people. Intel has rushed to unveil its new range of processors to prevent AMD from eating the toast, as its competitor is in a most successful year. Ryzen chips have received only praise and a few days ago announced that it plans to launch the AMD Threadripper, its most powerful gaming processor that will have 16 cores and 32 threads. Gregory Bryant (corporate vice president of Intel Corporation) said during the conference his astonishment at the technological innovations that are being realized thanks to the increasing capacity to generate, analyze and make the most of the data. In that sense, the new processors Intel Core Series X mark the direction of the intended course by the company. In this way, this new line of processors is composed by the options Core i5, Core i7 and the mentioned Core i9. Now, Intel is teaching muscle with the new Core X-Series family, the most scalable platform manufacturer so far, with configuration options of 18, 16, 14, 12, 10, 8, 6 and 4 cores. Introduces the first Intel Core i9 Extreme Edition processor with 18 cores and 36 threads, surpassing the upcoming AMD high-end processor. Compared to the four cores of the seventh generation of Intel Core i5 and Core i7 for end users, the X Core series is aimed at players who want to live up to date with trends and users running applications with VR video editing, modeling In 3D, and creating special effects. The top end of the series is for anyone who feels the need for extreme performance on the desktop and is willing to pay for it. As far as performance is concerned, Intel ensures that the new range of processors is completely superior. The new chips have multi-thread performance 10% faster than the previous generation, while the execution speed of the processes is increased by 15%. 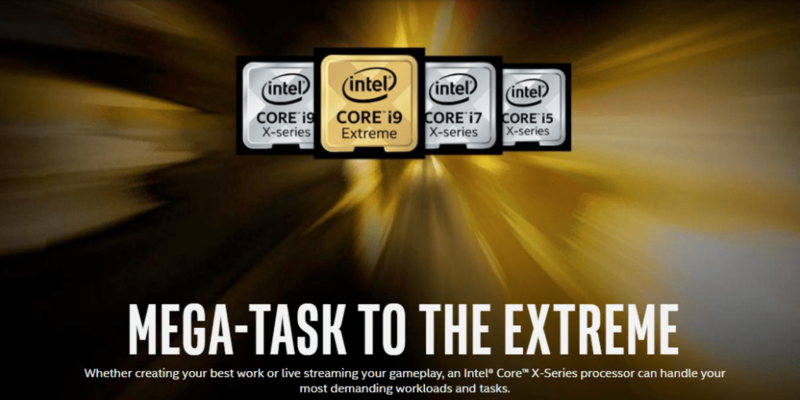 In addition, the entire Core X range is an upgrade to the sixth generation of processors, known as Skylake. The new line forms its HEDT platform under the Skylake-X and Kaby Lake-X architectures. The chipset used is the Intel X299 with the LGA 2066 socket with a maximum of 165 W of TDP. Although the i5 and i7 X series are based on the seventh generation of Kaby Lake processors. Finally, the company has also confirmed that this year plans to launch the eighth generation of processors, 14 nanometers and known under the name of Coffee Lake. This new product of the company will be 30 percent faster than its predecessor Kaby Lake, constituting one of the best offers on the market. The processors integrate Intel Turbo Boost Max Technology 3.0, an improved version of the Turbo Boost that was introduced last year. It consists of an automatic and secure overclock that raises the multiplier in an automated way when the system demands a higher performance. The technology identifies the best cores to provide greater performance for a single thread. Compared to previous versions, 3.0 improves efficiency because it can be applied to each core independently or all at the same time. The Intel Core i9 7980XE Extreme Edition is the most powerful market processor yet, with 18 cores and 36 threads, a teraflop bandwidth and Intel AVX-512 support. The 36-wire advanced configuration and four-channel memory will delight content creators. The company has also taken the opportunity to present other innovations in terms of its products. For example, it has introduced the new chipset Intel x299, which incorporates new features for I / O and for increasing the clock frequency (overclocking). It has also shared the updates to Intel Turbo Boost Max 3.0 technology (a feature present in processors to increase its operating frequency), which now allows identifying the two highest performance cores to address critical workloads. In addition, with 44 PCI-Express 3.0 tracks directly connected to the CPU, the system can be expanded by connecting to the motherboard faster SSDs, multiple graphics cards (up to a total of four), and ultra-fast Thunderbolt 3 technology. ? A hyper-fast multitasking experience and an incredible gaming experience and VR. The X-Core series is spearheaded by the $ 1,999 Core i9 Extreme Edition processor, the i9-7980XE, which features Intel’s first consumer desktop CPU with teraflops performance and 18 cores. Underneath the Extreme Core i9 edition, the Core i9 Series CPUs scale to 10-core i9-7920X for $ 999. That price is significantly lower than Intel’s 10 CPU cores offered since last year, $ 1,650 I7-6590X. Other Core i9 processors include the 16-, 14-, and 12-core variants, which will cost $ 1,699, $ 1,399, and $ 1119 respectively. All Core i9 chips have a clock speed of 3.3GHz base. The X-series Core also has three Core i7 chips in eight, six and four-core variants, which cost $ 599, $ 389, and 339 respectively, and the quad-core i5 Core core at $ 242. As Intel points out, the new X Core CPUs are based on the Intel Sky Lake processors, while the quad core CPU is based on the Kaby Lake design. All chips are designed to work with your new x299 chipset. Intel Core i9-7980XE: $ 1,999. Intel Core i9-7960X: $ 1,699. Intel Core i9-7940X: $ 1,399. Intel Core i9-7920X: $ 1,199. Intel Core i9-7900X: $ 999. Intel Core i7-7820X: $ 599. Intel Core i7-7800X: $ 389. Intel Core i7-7740X: $ 339. Intel Core i5-7640X: $ 242. 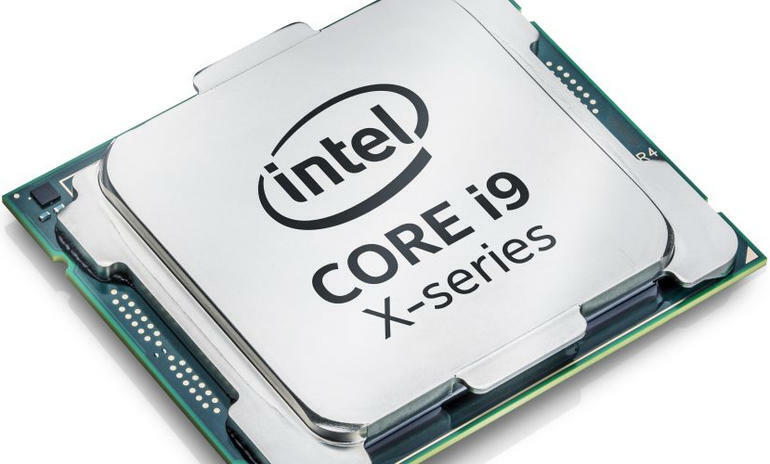 As well as the Core i9, Intel has lifted the top of the new X-Core high-performance CPU series.